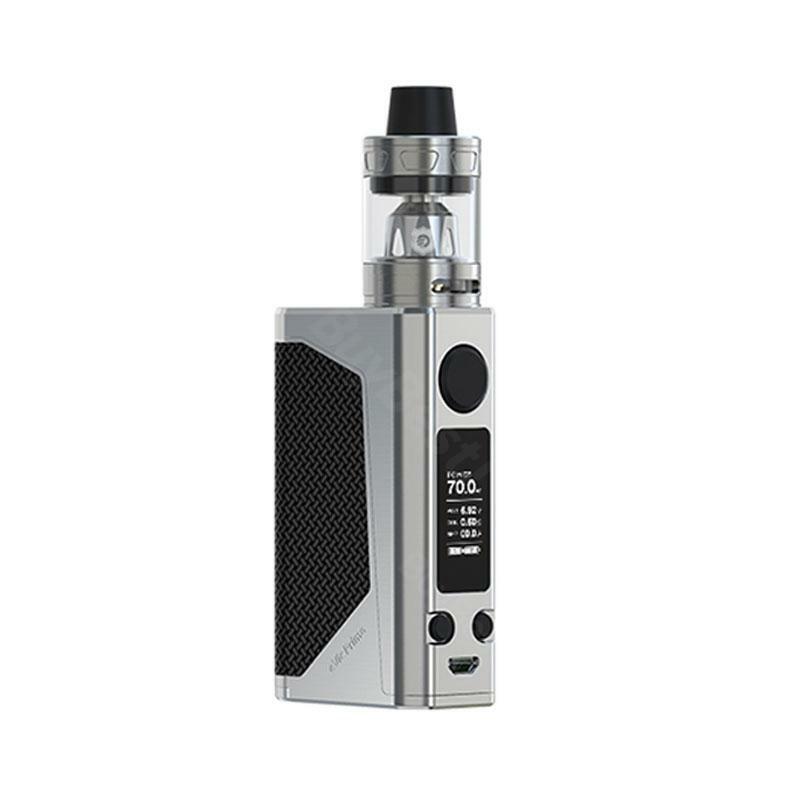 228W Joyetech eVic Primo 2.0 Kit comes with a 4ml capacity ProCore Aries Tank and 228W eVic Primo 2.0 TC Box MOD. Providing durability and reliability with the maximum output of 228W. 5 colors. 228W Joyetech eVic Primo 2.0 Kit comes with a 4ml Capacity ProCore Aries Tank and 228W eVic Primo 2.0 TC Box MOD. Providing durability and reliability with the maximum output of 228W. With the new balanced charging system, it supports the fast charging function of 2.0A.The ProCore Aries Tank features flip type top-fill design and detachable structure, so it is easy to clean and easy to refill. The eVic Primo is also equipped with an upgraded firmware, as well as a variety of fashion features including a clock, preheating function and custom logo. Spring loaded 510 thread was accurately designed which has a wide coverage for tanks with multifarious pins ranged from 4.0 to 5.5mm. ProC series coil head, DL or MTL, for large steam production and best flavor, the plenty of choices will surely satisfy you. Excellent boxmod! I took only because of the block itself, as the atomizer did not put the complete, but procore aries. Checked so far at capacities up to 80 watts-it's fine! Big power check later. Since the main purpose of the purchase was not an increase in power, but an increase in autonomy and a reduction in the load on batteries. The packaging was sealed in film. There is a verification code to check for originality. Inside everything is in its place and well tolerates the burdens of shipment. Joyetech geht sehr leicht von der Hand. Die fertigen Zigaretten haben eine überraschönd gute Qualität in Bezug auf Festigkeit und Durchzug. Von einer gekauften Zigarette kaum zu unterscheiden. Joyetech eVic Primo 2.0 Kit with ProCore Aries Tank has a reasonable price and high quality for most vapers, I think. Really nice kit, I can hardly tear myself away from it!